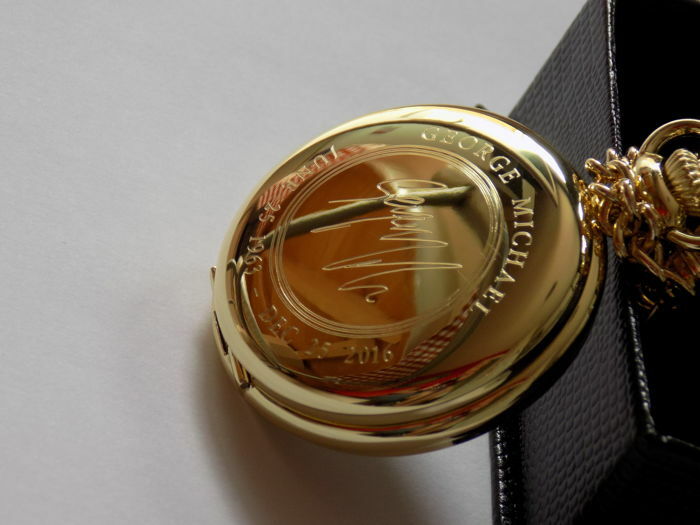 George Michael 24k gold plated pocket watch. Mint condition. 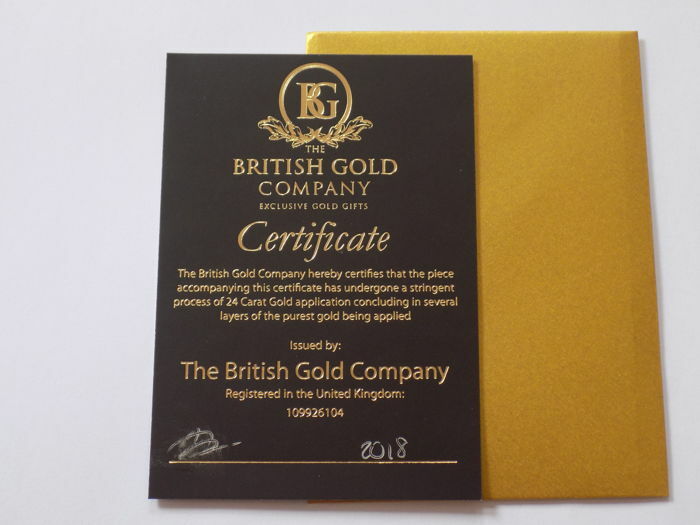 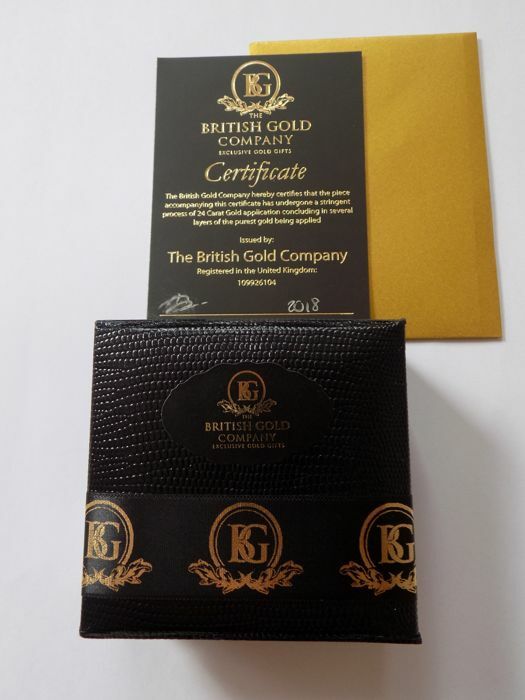 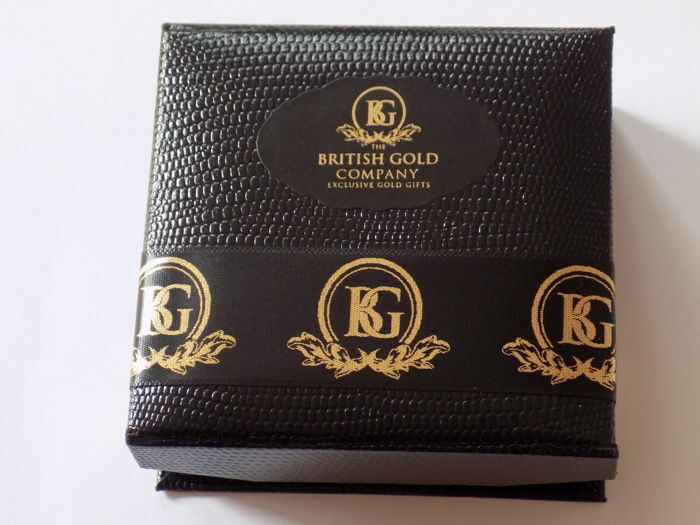 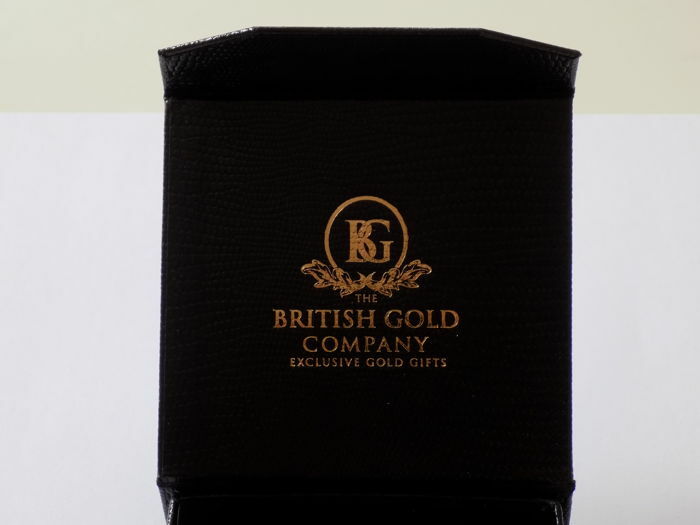 Includes gift box and certificate. 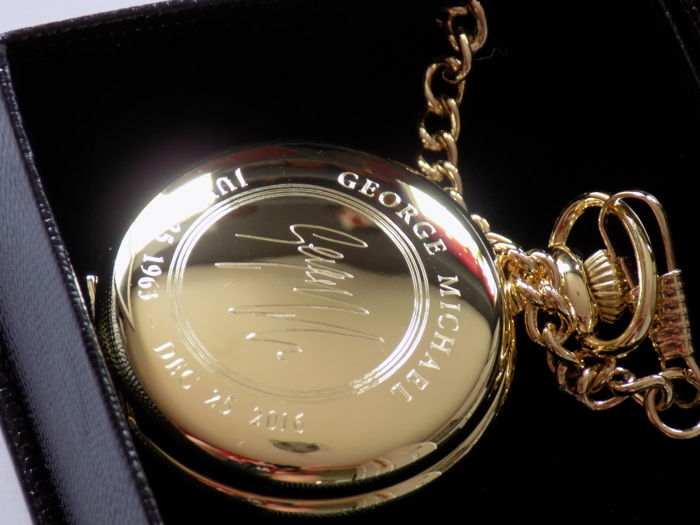 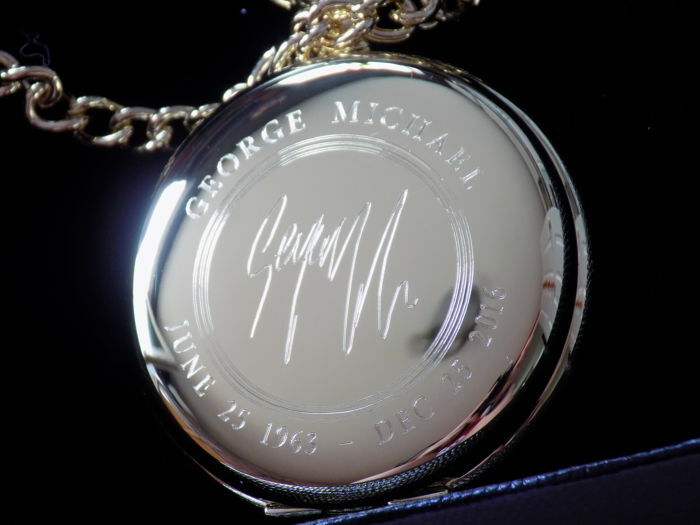 Full hunter 24k gold plated pocket watch which features George Michaels signature and birth to death date engraved on the front case. 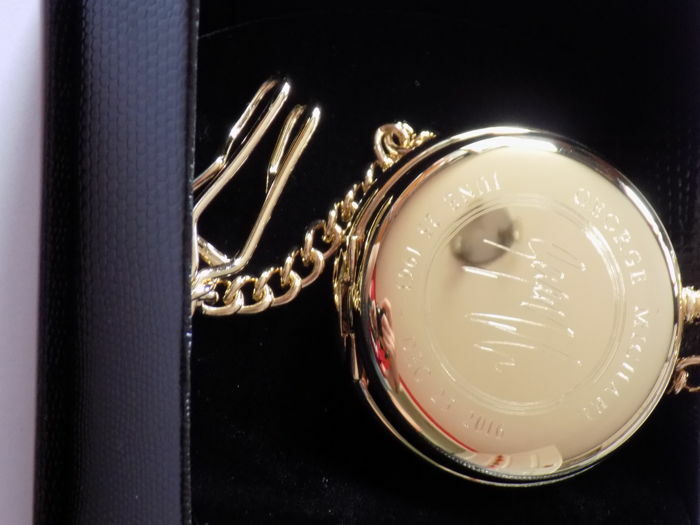 The watch has a top button for one touch opening of the case , a white dial with black numerals. 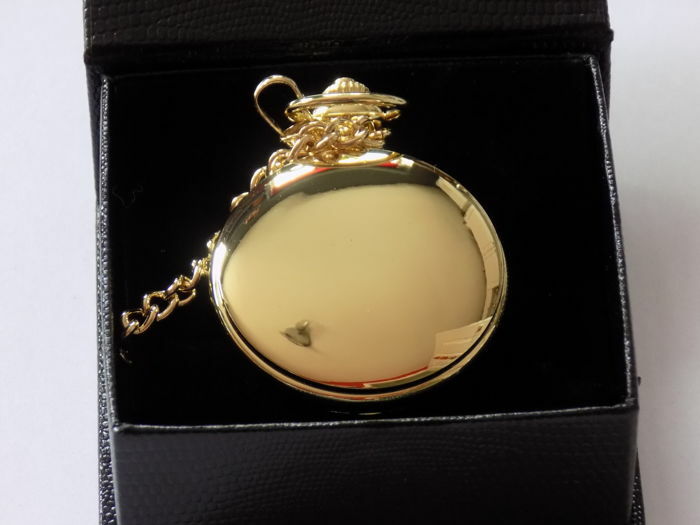 The quartz watch includes a pocket chain and fitted battery. 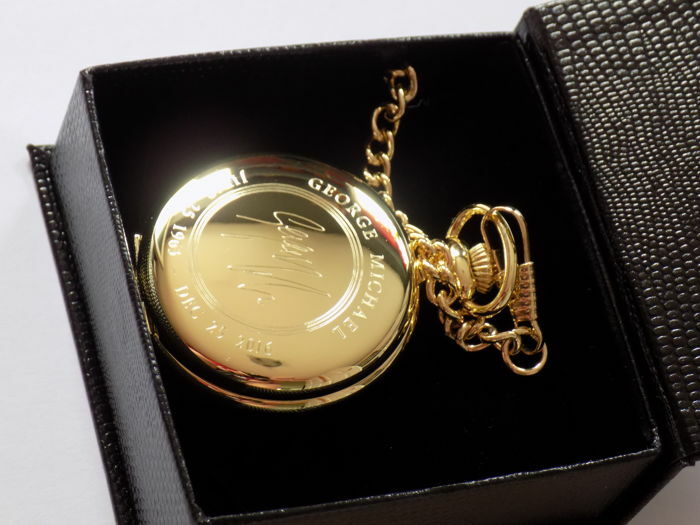 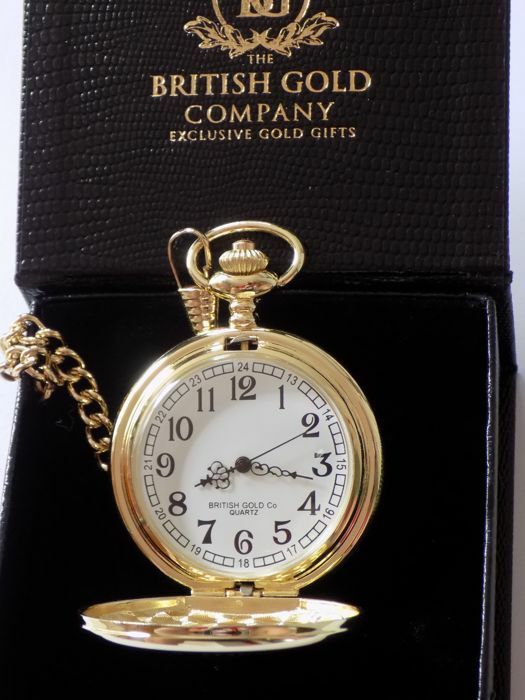 The pocket watch includes a luxury gift box and certificate. 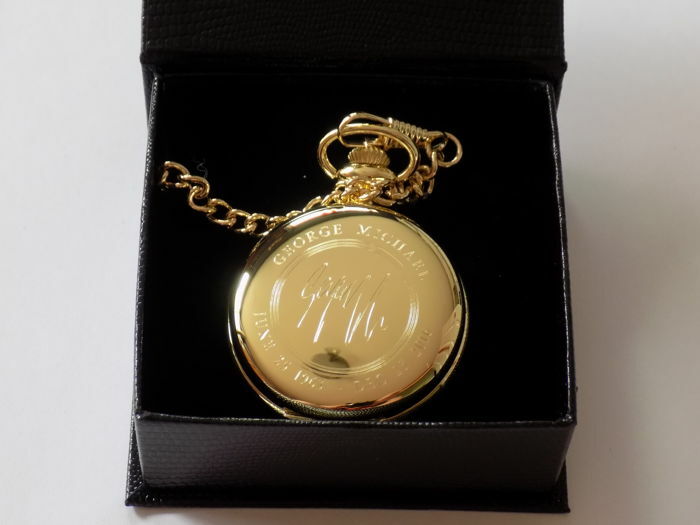 Item will be shipped via track and trace.